Price negotiable. 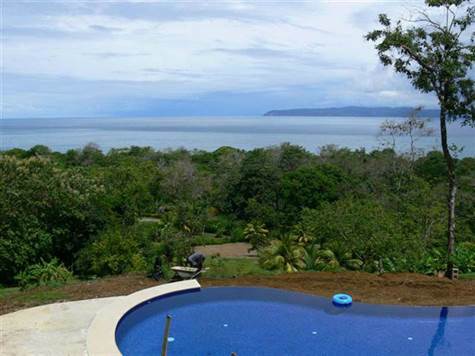 Private Bed and Breakfast located on the South Pacific Coast of Costa Rica. Walking distance to Pavones. The worlds longest left hand point break.The property has 4 rooms for rent with private baths.Air Conditioning Managers quarters. Large Kitchen, family area overlooking the Pacific. Cement driveway. Infinity pool with large poolside area. Utilities and water with large tanks. Primary tropical forest with river and small waterfalls. Many building sites. Lush landscaping. Lots of room for expansion and active Web site.